As I shared last week, lately my batteries have been running dangerously low. Luckily, after two Fridays off and some precious down time, I’m now feeling a bit more like my old self again. 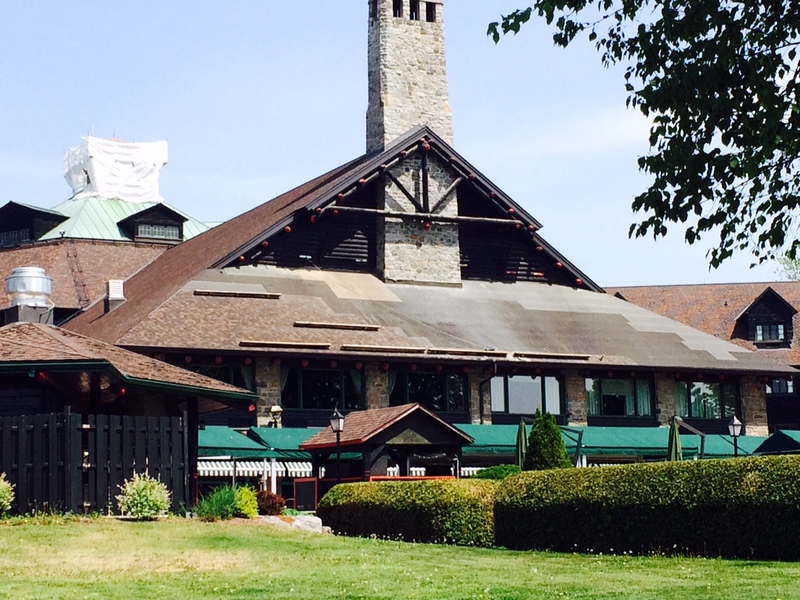 This weekend, Dave and I splurged and went for an overnight getaway, sans kids to the Chateau Montebello, in Montebello, Quebec. 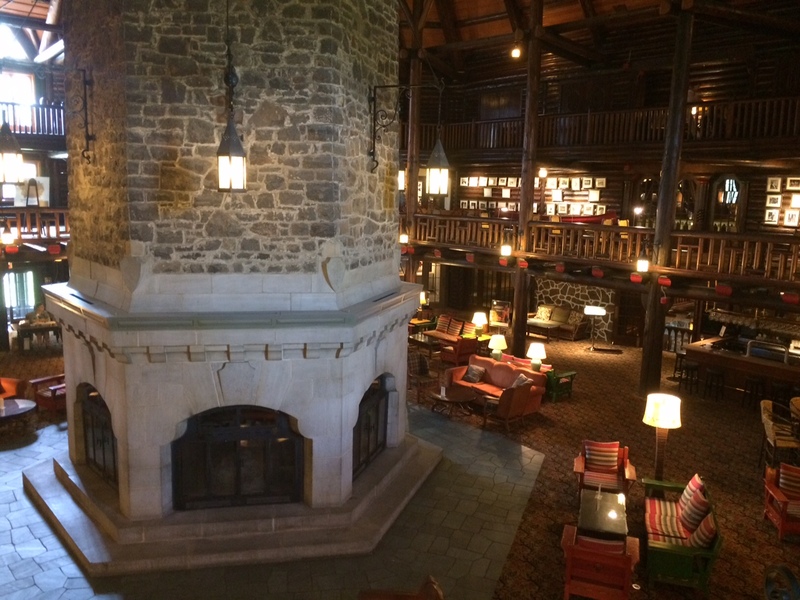 The largest log lodge in North America, the glory days of the Chateau are clearly in its past, but it was still charming in all its grandeur and brimming with history. Built in only three months in the 1930’s, the Chateau has hosted world leaders and celebrities. Adjacent to its grounds is the Manoir Papineau, home to Louis-Joseph Papineau, the leader of the rebellion in Lower Canada in 1837. Both the Chateau and the Manoir are on the banks of the Ottawa river, a quiet oasis from the hubbub of Montreal and Gatineau. We NEVER do this, but for the first time ever, Dave and I booked spa treatments on a weekend getaway. I had a facial and a rice body polish. Dave had his first massage ever. After 90 minutes of pure heaven, I sat on the balcony of the spa overlooking the river trying to remember the last time I felt this way. I was so relaxed, I literally couldn’t get up–it felt like my bum was glued to the seat. I pried my newly polished torso from the chair and headed back to our room to meet Dave for dinner. It turned out being pampered was a family affair this weekend. 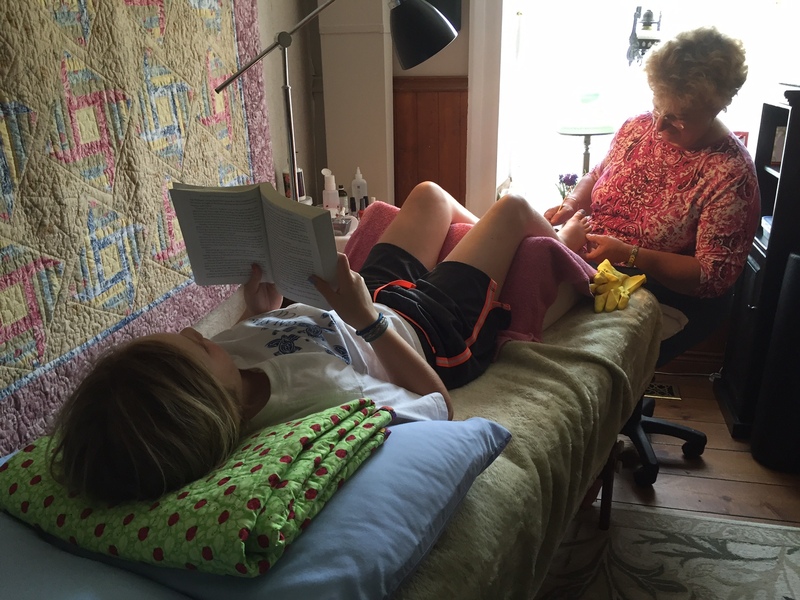 When we arrived the next day to pick up the kids from Dave’s sisters in Westport, I found Clare on her massage table. 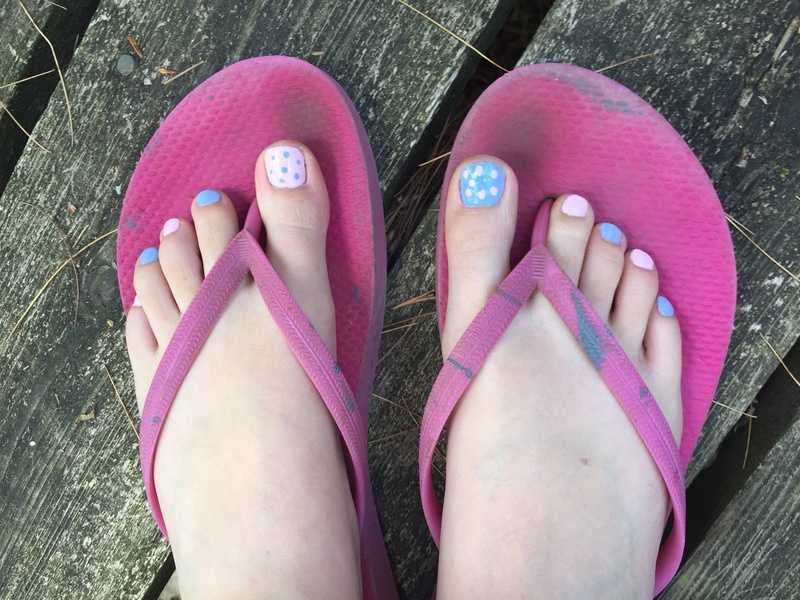 Maryanne, a registered esthetician who runs The Pampered Ladybug out of her house, gave both the girls pedicures and Clare a manicure. This week’s #HappyAct is to pamper yourself—get away for a night, book a massage (check your health insurance—if you go to a registered massage therapist, there’s a good chance your benefits might cover the cost) or treat yourself to something you normally never would do. You deserve it.